Long before Omega Force became a powerhouse of licensed action games built on familiar properties, such as Attack on Titan and The Legend of Zelda, their central focus was on a series based upon the hundred years of Chinese history centered around the Three Kingdoms era. The Dynasty Warriors series has long been known for its massive scale action combat where the one-versus-one thousand mentality is truly put to the test. It’s been four years since the last numbered Dynasty Warriors title reached players’ hands and the latest entry, Dynasty Warriors 9, couldn’t be a bigger shift in the series than ever before. The Romance of the Three Kingdoms’ epic story is a tale as old as time itself. Expect no unexpected twists as the forces of Wei, Wu, and Shu collide to decide the fate of a new world order that’s founded upon the ashes of the Han Dynasty. For roughly one hundred years, between the rise (and swift quelling) of the Yellow Turban Rebellion through the founding of the Jin Dynasty, Dynasty Warriors 9 focuses on the major battles that shaped the geopolitical landscape across an open world for the first time in the series. Those stories are told across a thirteen-chapter timeline with characters only taking part in the story as long as their historical counterparts lasted. Lu Bu, the mighty powerhouse of Dong Zhuo’s army, only sticks around for a few of these before his defeat at the Battle of Xiapi. You won’t be sticking around as any one single officer throughout the entire story of Dynasty Warriors 9 and will be picking up where you left off at the start of a new chapter as someone else in the same faction (or can take up arms as someone completely different). Progression in the open world is constant between officers and any weapons that you’ve lovingly upgraded can be carried over to give the new officer more of a fighting chance. Sadly, there isn’t a true Free Mode this time around where officers can explore the geopolitical landscape at their own pace. Instead, you’re given the opportunity to play through these established chapters (and only once you’ve already played through that particular faction’s side of the story) as any officer of your choosing with the only limitation of not being able to see their ending cutscene in Free Mode. 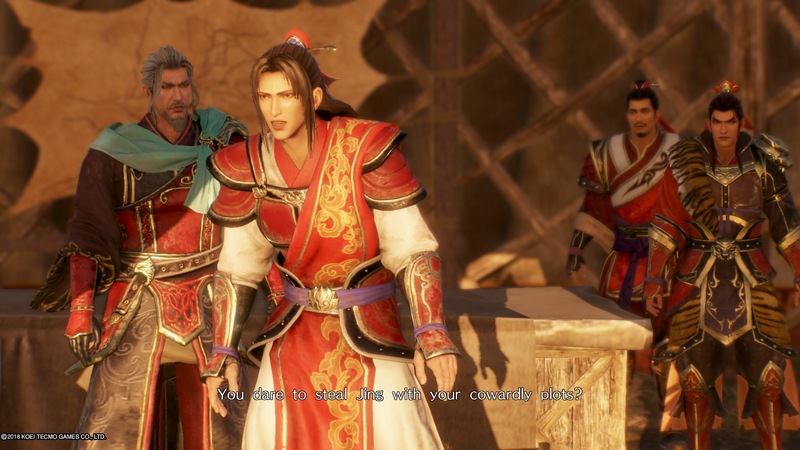 Because of this, I always found myself rushing through the stories as quickly as I could in order to get back to playing as newcomer Cao Xiu in free mode and trying to rack up enough KO’s for the 100,000 count trophy, a challenge that I still haven’t accomplished even after earning nearly every other trophy in Dynasty Warriors 9. If there was any one studio that Omega Force’s ambitious sequel was looking up to during development, it would have to be Ubisoft. So many trademarks of Ubisoft’s open world formula are on full display in what might be one of the first examples of such a strong Western influence in the genre. Random patrols of enemy officers and vagrants patrolling the dirt roads? Check. Various wildlife that need to be slain and skinned to upgrade the player’s gear? Check. Watchtowers to climb that expand the sphere of influence and fill out the minimap with side objectives? Double check. Dynasty Warriors 9 is certainly a “far cry” above and beyond the scope of their previous titles in the series. There’s a certain jankiness to Dynasty Warriors 9 that’s been a part of the series for years (and that certainly doesn’t show any signs of changing). When you’re combating hundreds of enemy troops at once, it’s expected that the AI becomes dumb as bricks. After all, it just wouldn’t be the same power fantasy if every rival that crossed your path proved a threat. Expect to see enemies stand around and wait to get struck down while the KO count rises into the thousands in the single battle. To provide a bit of a challenge to this historical epic, Omega Force has implemented a leveling system that draws influence from Assassin’s Creed Origins with enemy levels playing a much more important role in combat. Anything outside of a 10-level range of the player is either trivialized or so difficult that the fights should be somewhat impossible but that isn’t always the case. New to Dynasty Warriors 9, but a staple of open world game design, is the option to take out bases via stealth and with a ranged bow. Mechanically, the player is intended to sneak into a base while crouched and spring a surprise attack on the enemy just once. However, the bow will wind up being far mightier than the sword in most instances. Firing off an arrow from a surprise vantage point, or just a really far distance away, will strike a critical hit and typically kill an enemy peon in a single hit, though officers may take extra shots from your unlimited quiver. Since the AI is utterly incompetent, they’ll raise a Metal Gear-style alert for a brief second and then just go about their business if the player is outside their cone of sight. Most of the time, the enemies in Dynasty Warriors 9 just stand around watching their comrades get picked off one by one. This is the same for patrols and exotic animals alike, and if you’re patient enough, the bow can take out enemies far above and beyond your level range (I was taking out level 30-something tigers while my office was about half their level). 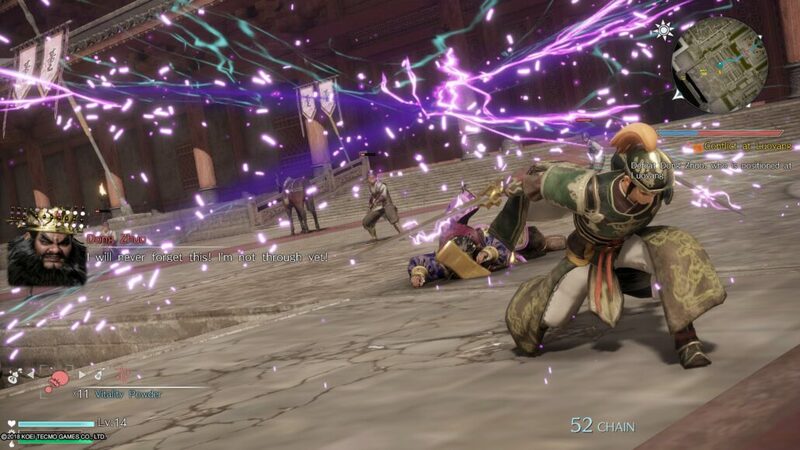 Couple this with a gem that attracts enemy drops from afar and you’ll easily break the game with extra cash and crafting materials that shouldn’t be accessible in the early parts of Dynasty Warriors 9. Before I was finished with my second story arc (uniting the land under Cao Cao), I was flush with enough gold and material to craft an endgame sword and invest nearly a half-million gold into purchasing hideaways for fast travel. The map of ancient China is utterly massive and filled with tiny settlements and points of interest that range anywhere from bases that can be overtaking to provide additional troops in major battles to scenic overlooks. The developers certainly weren’t lying when they estimated a few hours to cross from one edge of the map to the other. Thankfully, every point of interest can be used as a fast travel point to cut down the commute onwards to the next objective. Climbing a watchtower (of which there are more than enough throughout China) can reveal new points of interest, especially points of abundant crafting resources, and well worth taking the time to head off the dusty roads once in a while. Unfortunately, much of the world feels barren and victim of a serious copy and paste job across the landscape. The numerous outposts and points of interest (landmarks) are unique in their own right, but the smaller settlements are only distinguishable by the types of side-quests you’re offered and the items for sale at the market. While I didn’t have the pleasure of playing Dynasty Warriors 9 on the basic PlayStation 4 SKU, my review wholly consisted of experiencing ancient China on the PlayStation 4 Pro. Out of the box, two modes are available to those that look forward to playing on Sony’s enhanced console: Game Mode and Movie Mode. Game Mode strives to hit a higher frame rate, but unfortunately, the dips are far more noticeable in this mode with some close-quarters encounters in the city streets crawling down into the low 10’s for framerate. Movie Mode, on the other hand, keeps the framerate at a much more constant rate and was my preferred way to play as the forces of Shu. Weather effects, for the most part, didn’t take much of a toll on the framerate; however, the fire was always a huge hit to framerate and forced the fans on my PS4 Pro to spin up louder than a turbine for any extended period of time. A Day One patch has already hit the Japanese stores, but at the time of writing this review, has not made its way to the North American release that I am playing for my review. 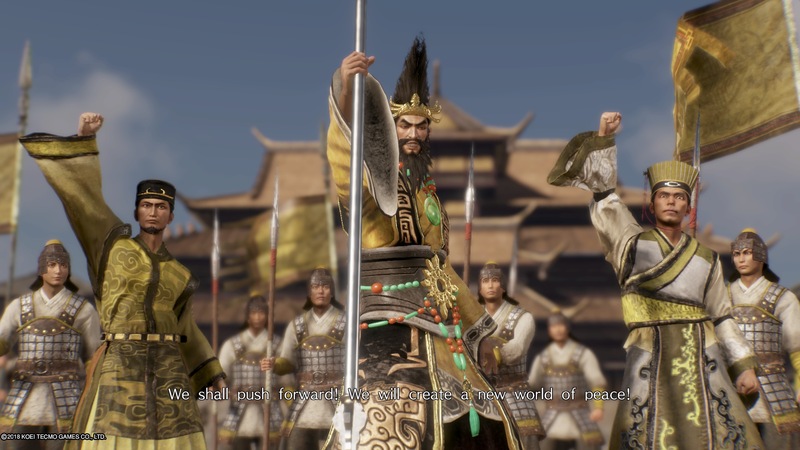 If you’ve played even a single Dynasty Warriors title, chances are you’ve had to sit through some incredibly cringy pronunciations of Chinese warlords (Cao Cao being referred to as ‘Sow Sow’ always strikes a chord for me). You should be relieved to know that the English dub of Dynasty Warriors 9 is as awkward and poorly delivered as ever. Expect lots of one-takes in the dub and even my homeboy Sun Jian, the ‘Tiger of Jiangdong,’ falls victim to some pretty terrible delivery. For those looking for a purer audio experience, Dynasty Warriors 9 also features a Japanese dub and for the first time in the series, a Chinese dub that fits most of the cast surprisingly well. 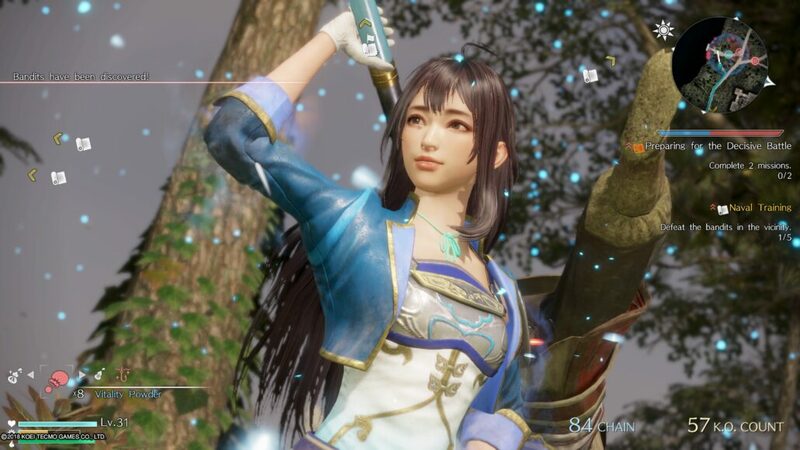 Dynasty Warriors 9 dips into a number of systems that have permeated in Western-designed open world games for the past few years, but does just enough with them to incorporate them alongside the tried and true Dynasty Warriors formula without losing its true focus. It’s a marvelous evolution to the series that’s been known for massive combat and now there’s an open world map that can match its grand scale. Even if you’ve taken a few years off since your last trip to the Chinese empires, Dynasty Warriors 9 is waiting for you to answer the call of battle once more. Review code provided by the publisher. You may purchase the game on Amazon. Dynasty Warriors 9 has finally entered the next generation of gaming, bringing the series' tried and true 1-versus-1,000 fights into a massive open world while sticking true to its roots, for better or for worse.